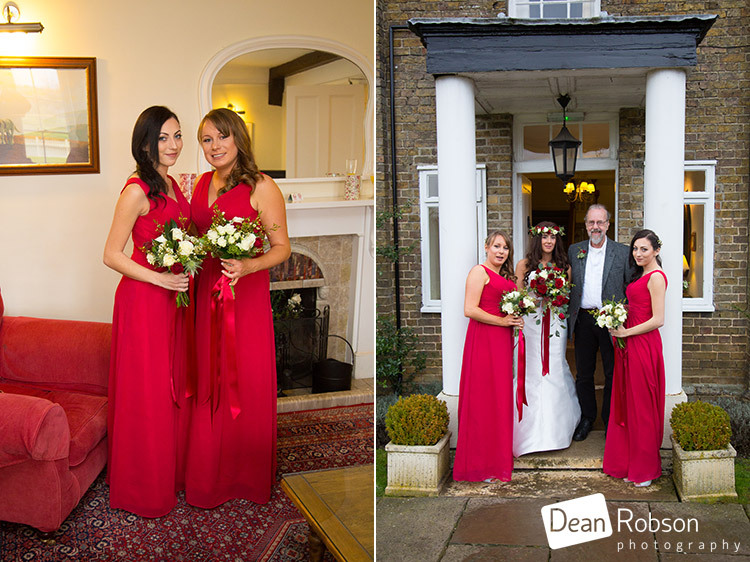 Reid Rooms Wedding Photography January: On Sunday I photographed Karla and Gary’s wedding at the Reid Rooms (http://www.thereidrooms.co.uk) in Margaret Roding, Essex. 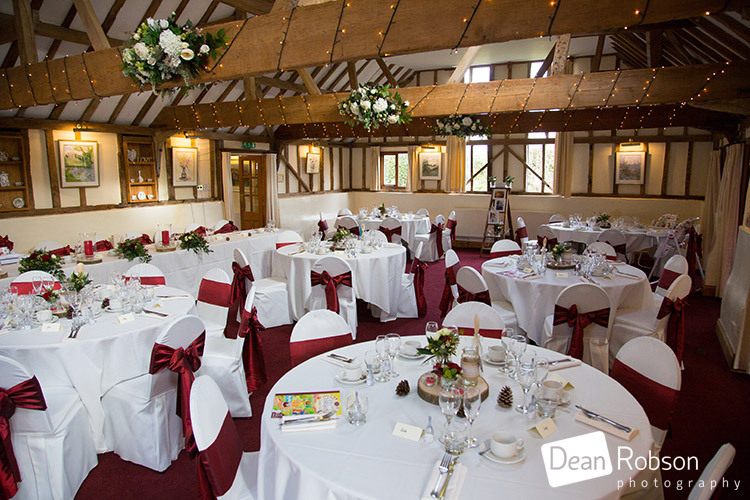 The Reid Rooms is a fabulous venue and I’m very pleased that they recommend me. 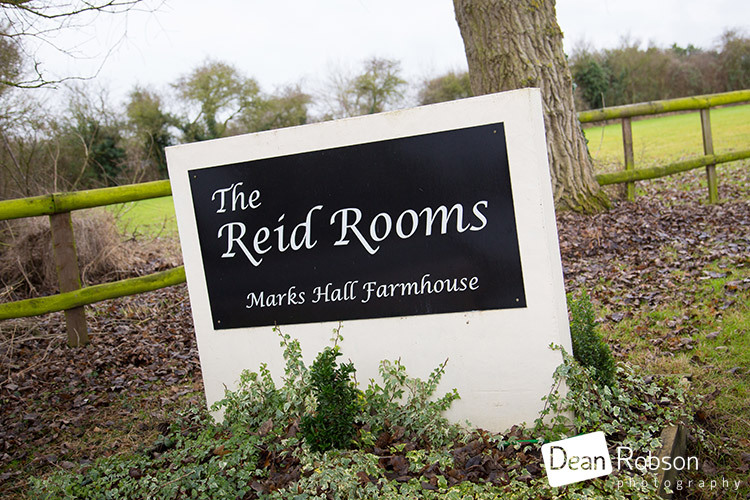 I arrived at the Reid Rooms on a damp Winter’s day and the forecast was for rain. 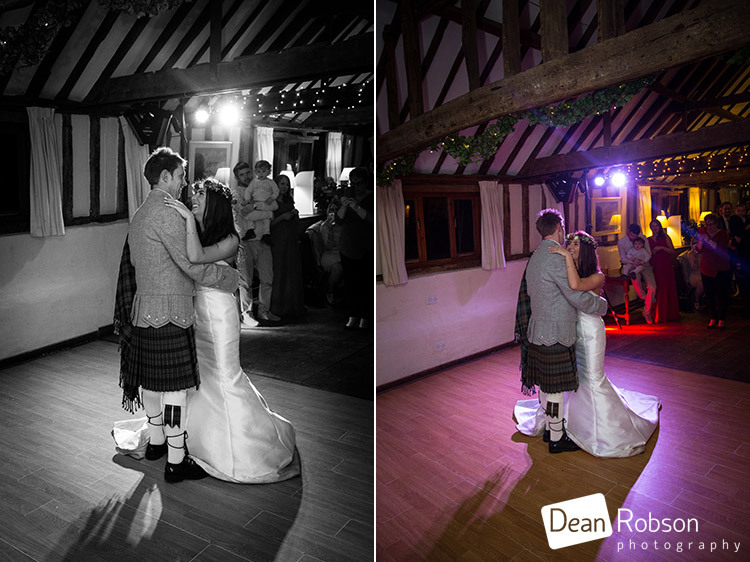 So I made sure I took some venue shots before it started. 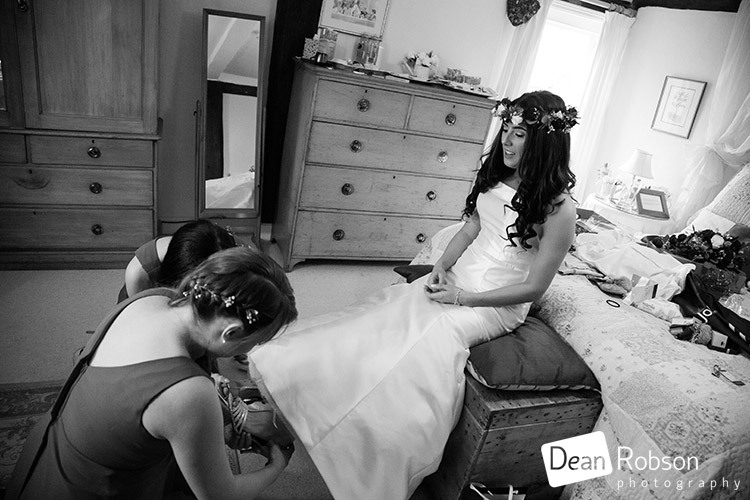 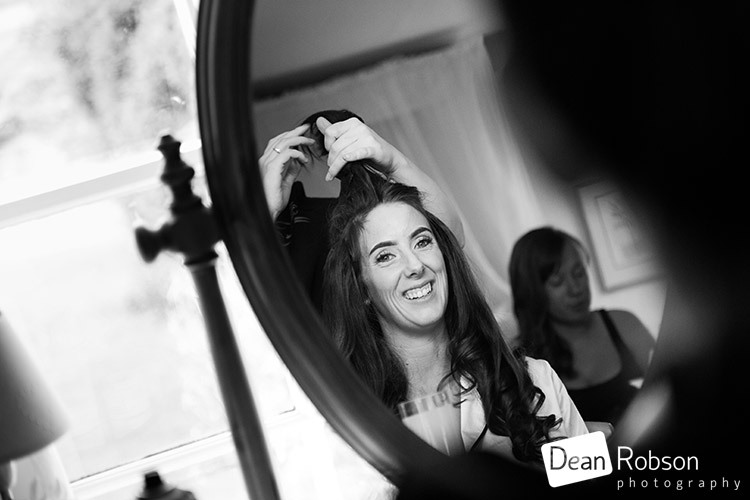 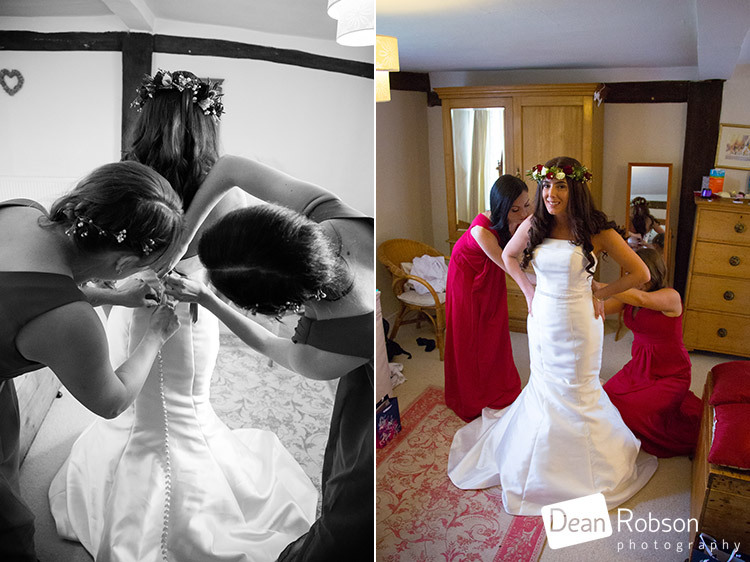 The bride and bridesmaids were getting ready in the Marks Hall Farmhouse. 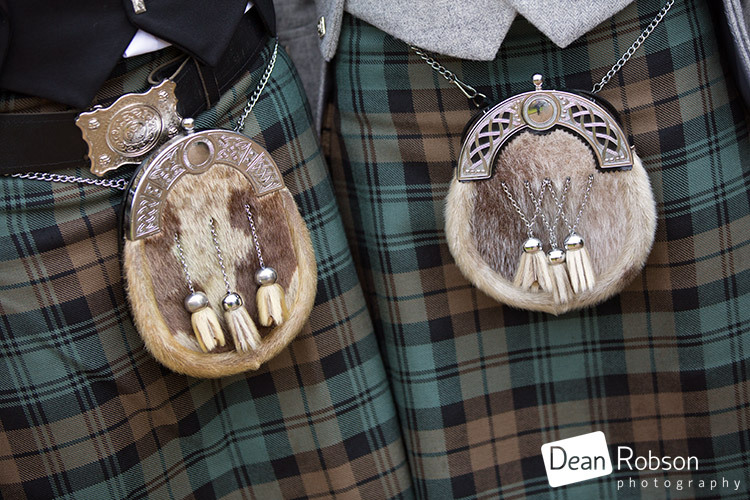 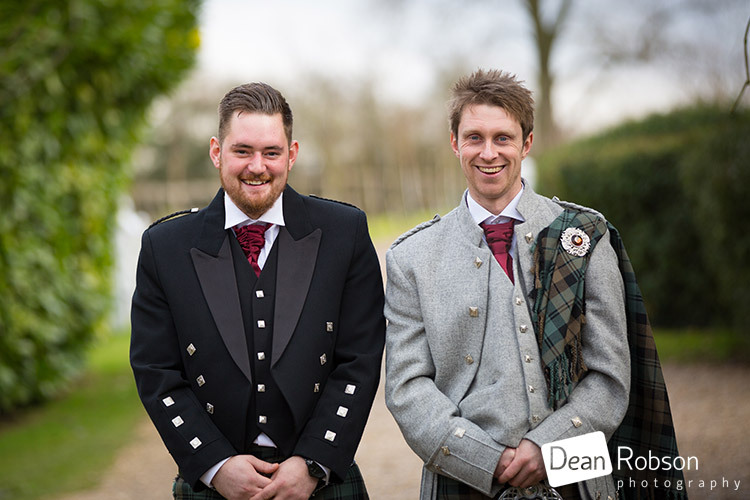 The groom and his best man and usher were all in tradition Scottish attire. 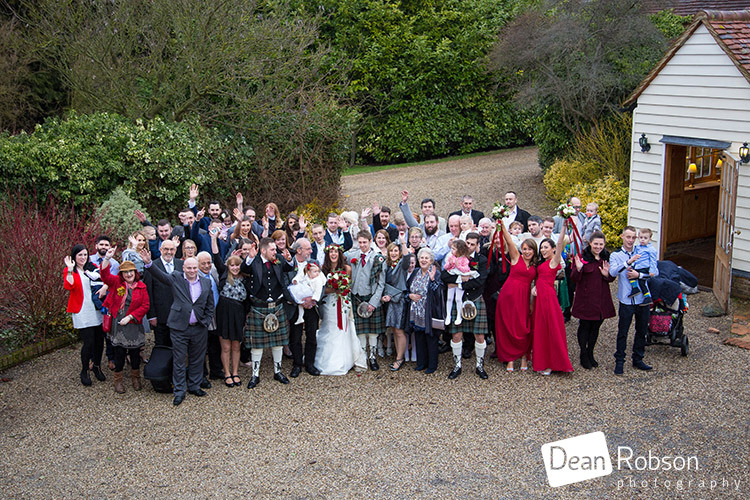 After the ceremony we took the big group photo straight away as the rain was just starting to fall. 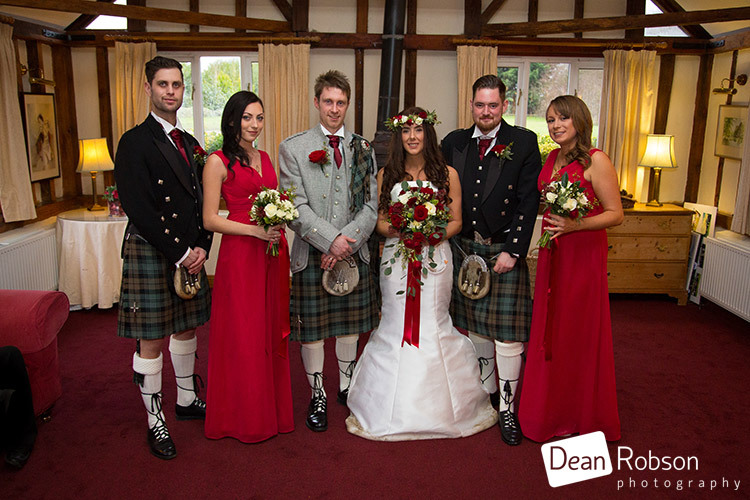 The family group photographs were all taken in the lounge where it was dry as well as being nice and warm. 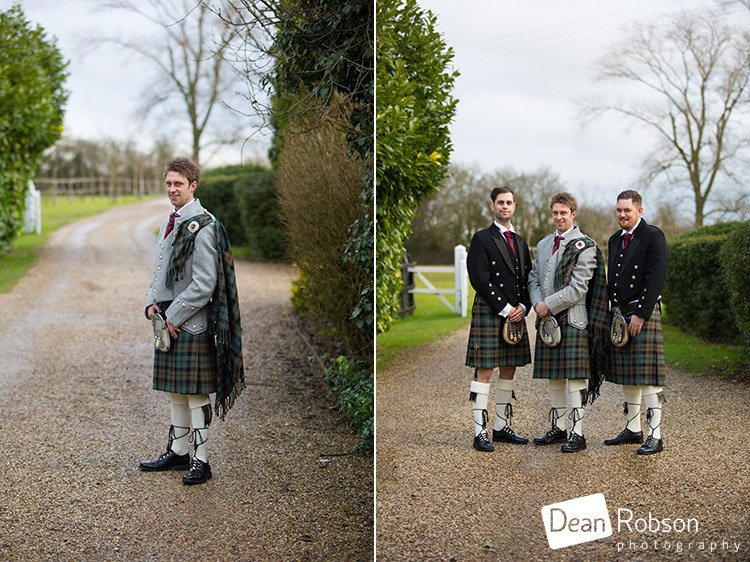 As the forecast was for rain and daylight hours are quite short in January we braved the elements and went outside for the wedding portraits. 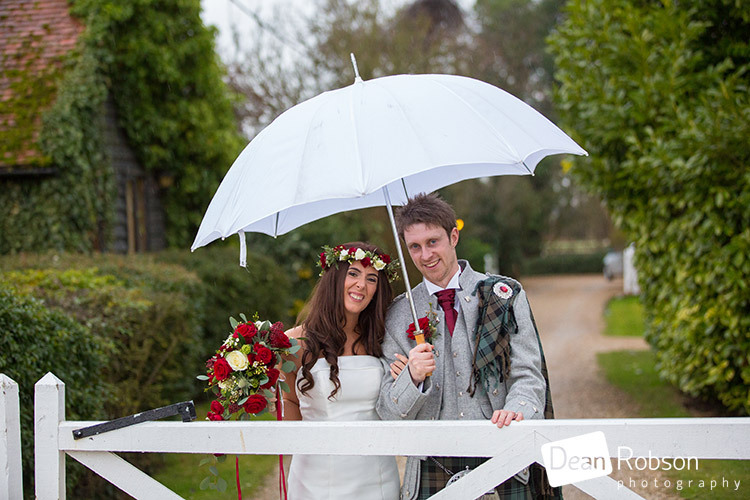 I always take a white umbrella just in case. 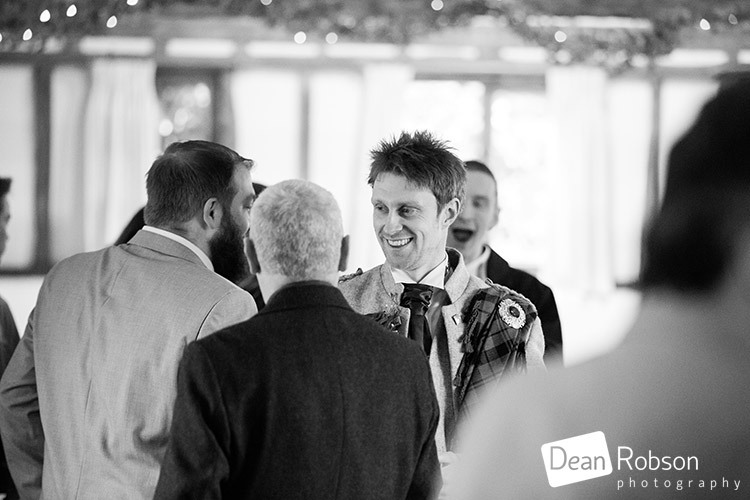 We then went back into the Reid Rooms for the drinks reception followed by the meal. 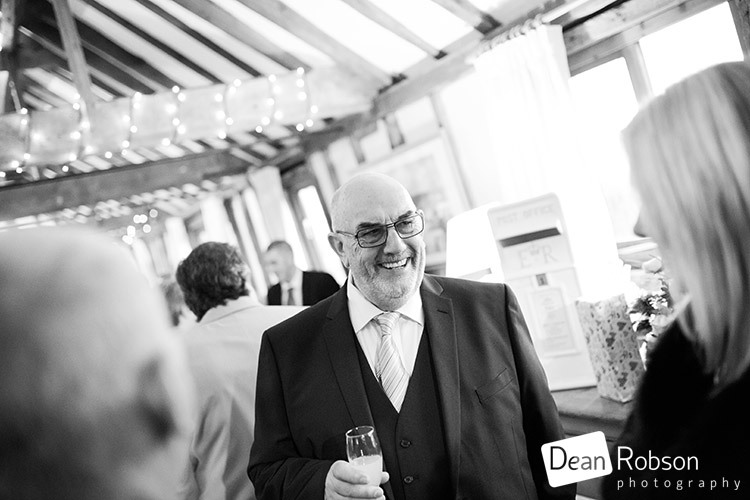 The evenings entertainment was provided by Steve Johnson. 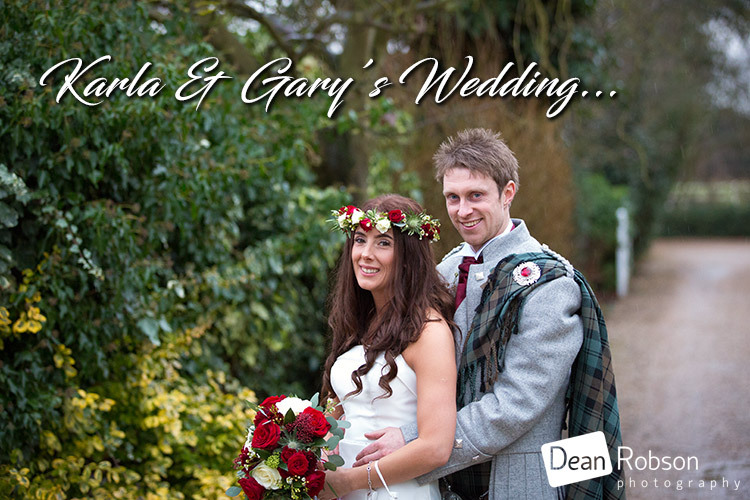 I had a lovely day with Karla and Gary, and everyone seemed to be having a fun time! 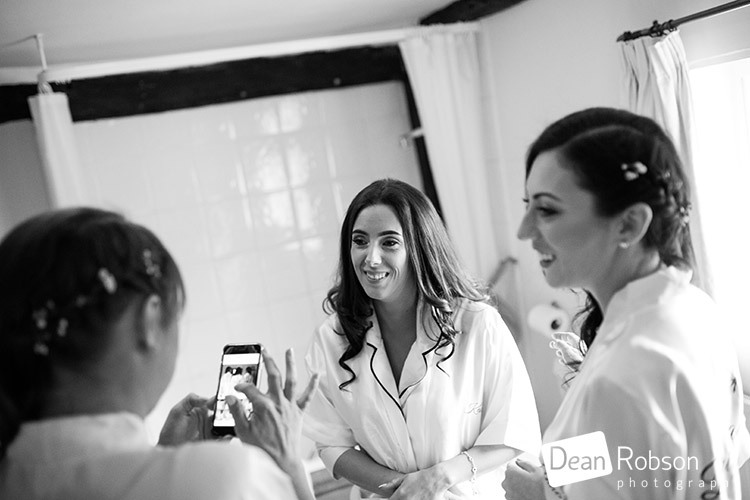 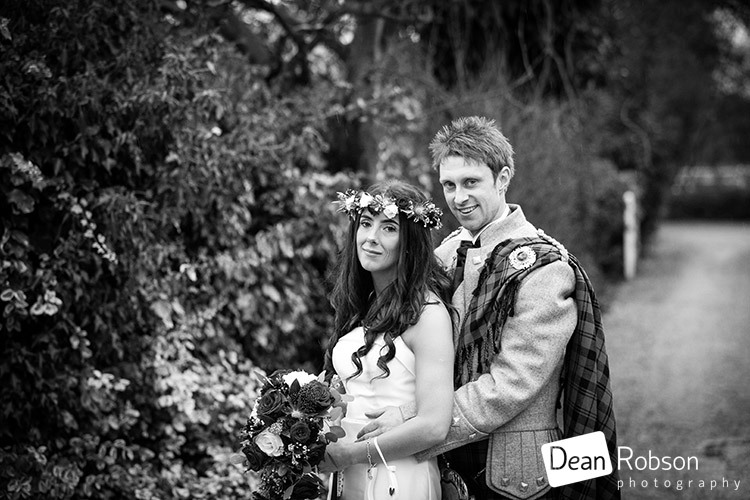 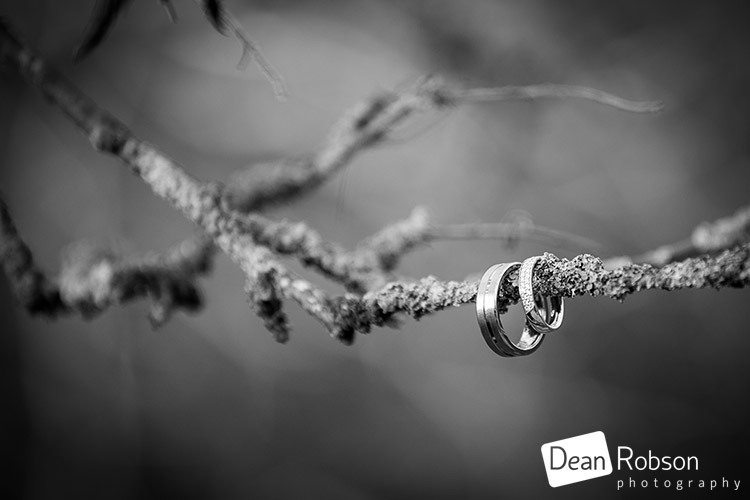 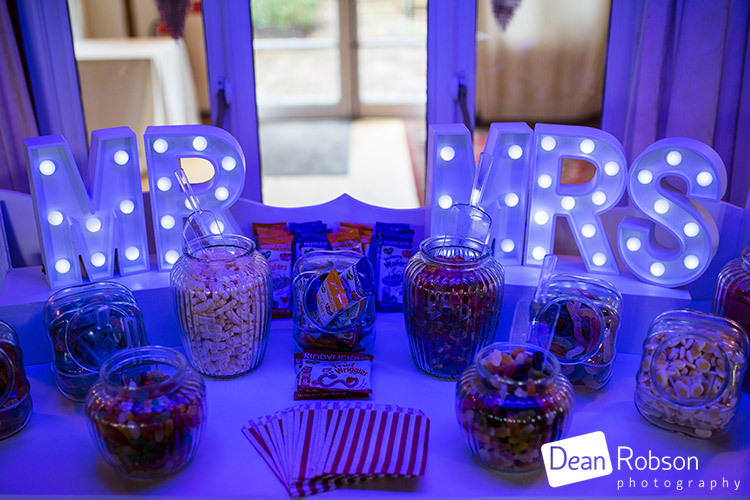 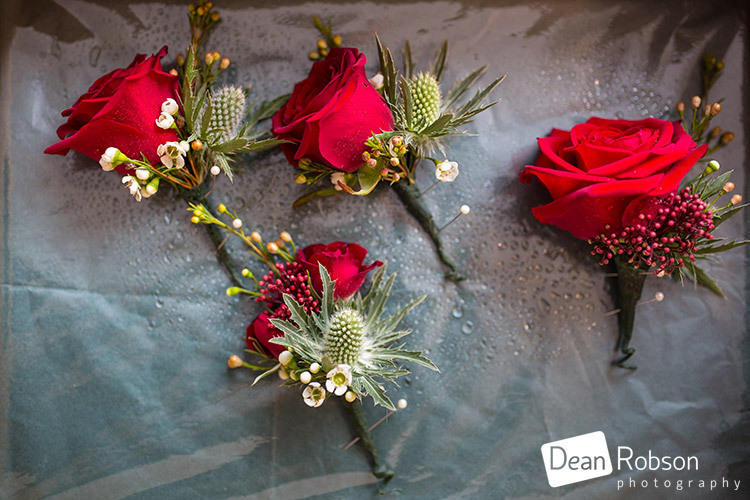 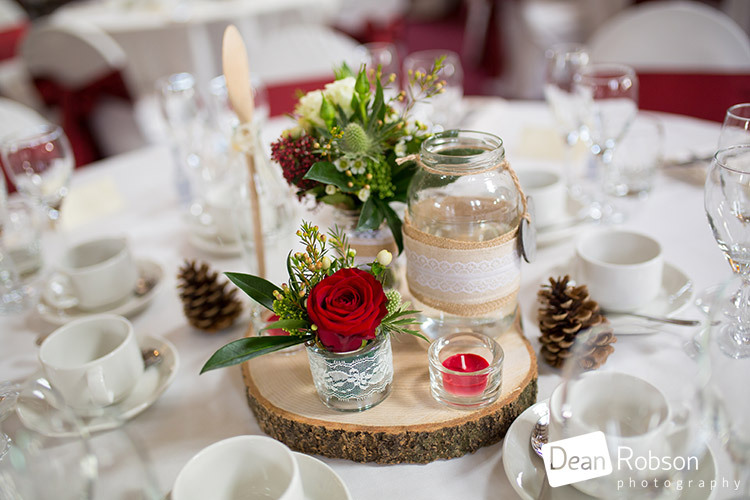 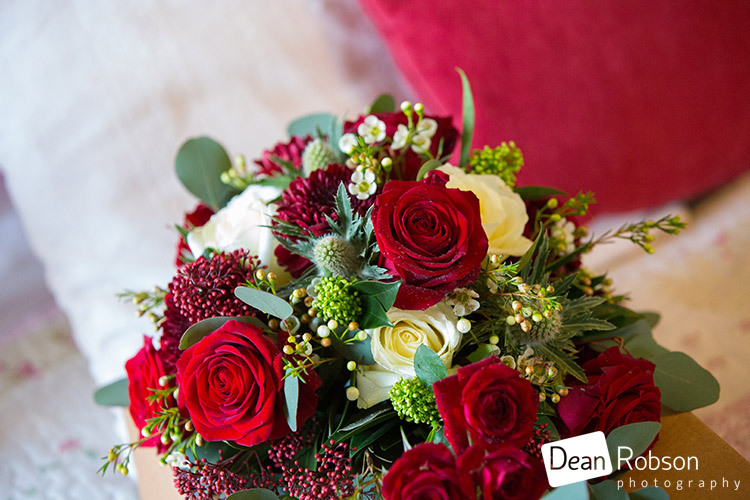 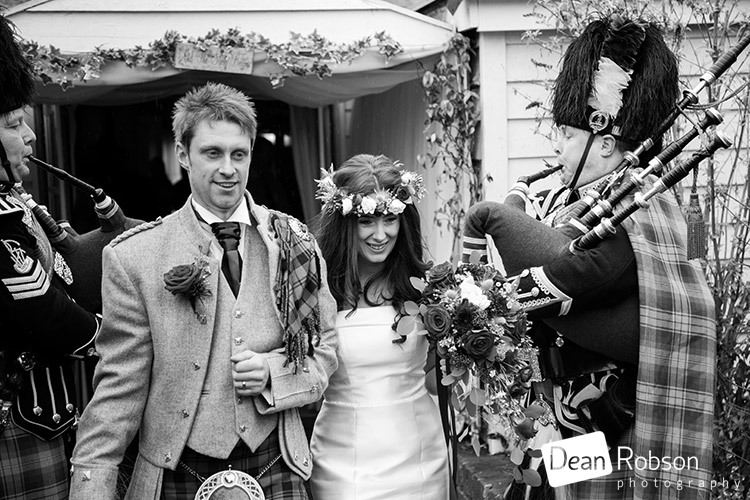 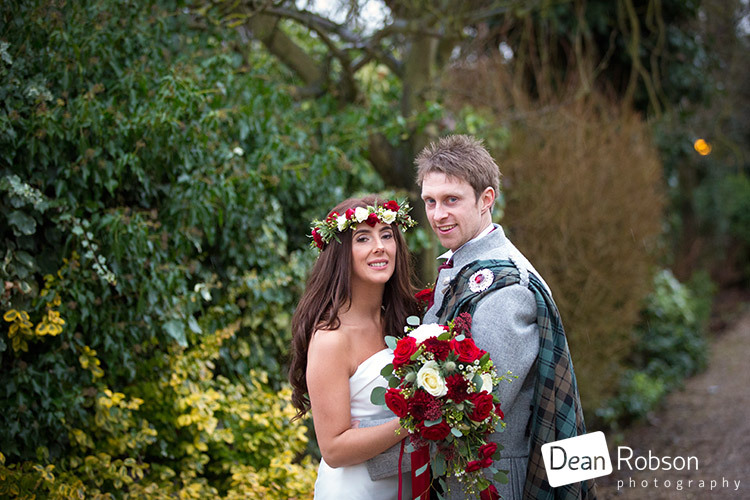 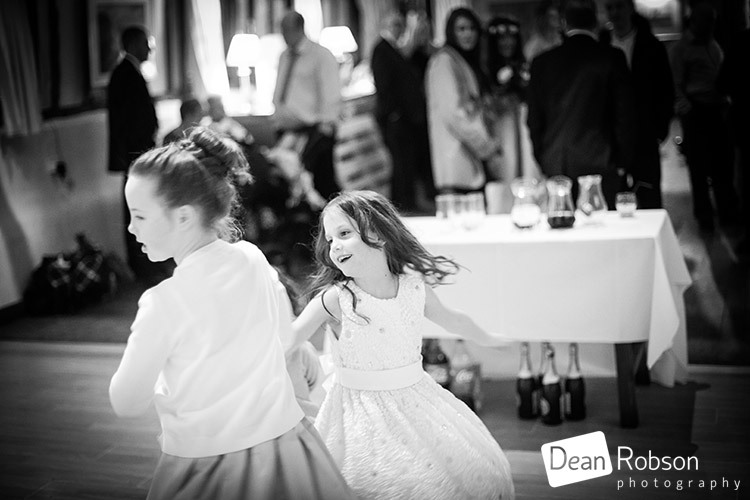 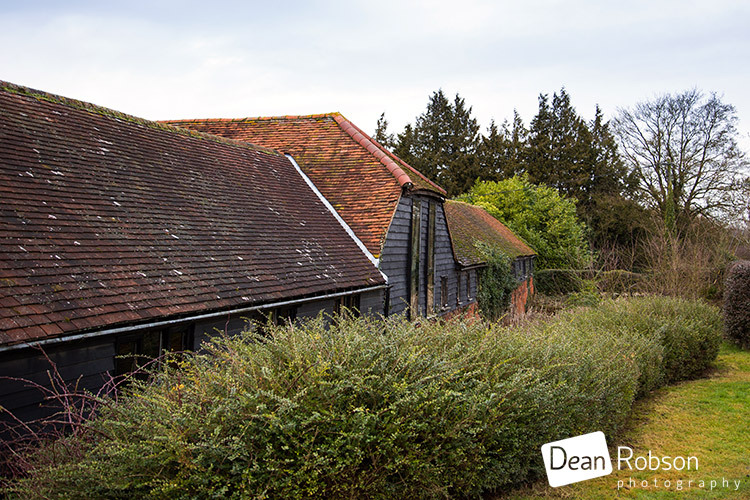 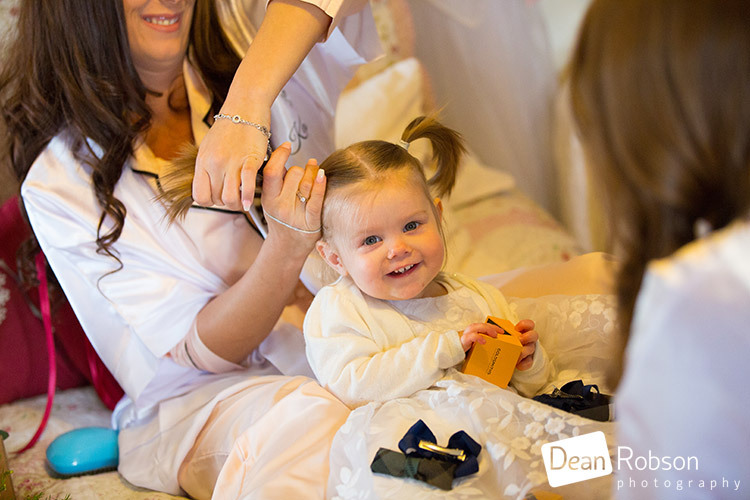 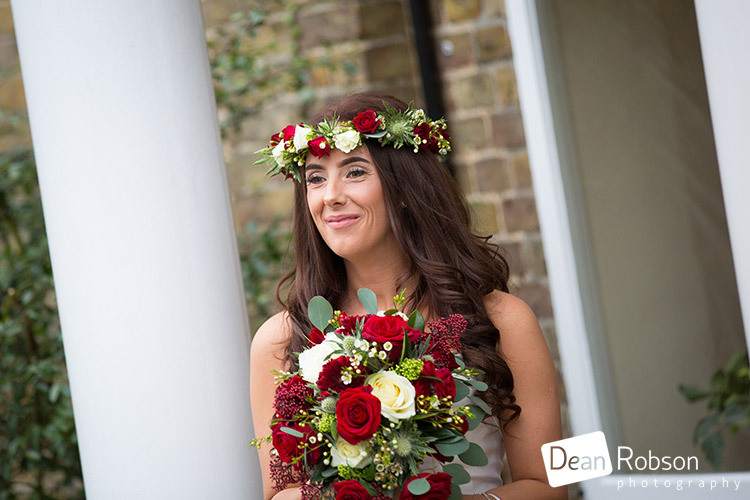 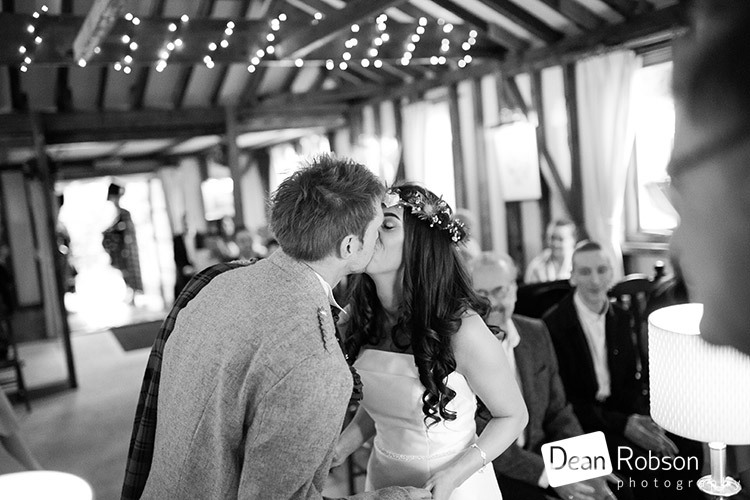 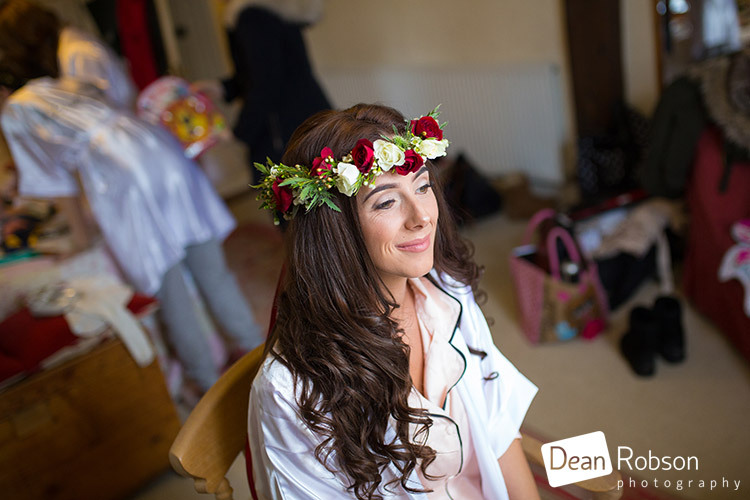 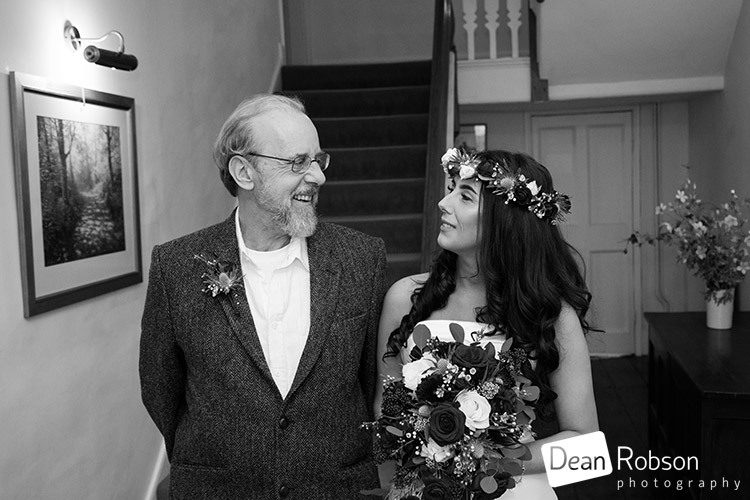 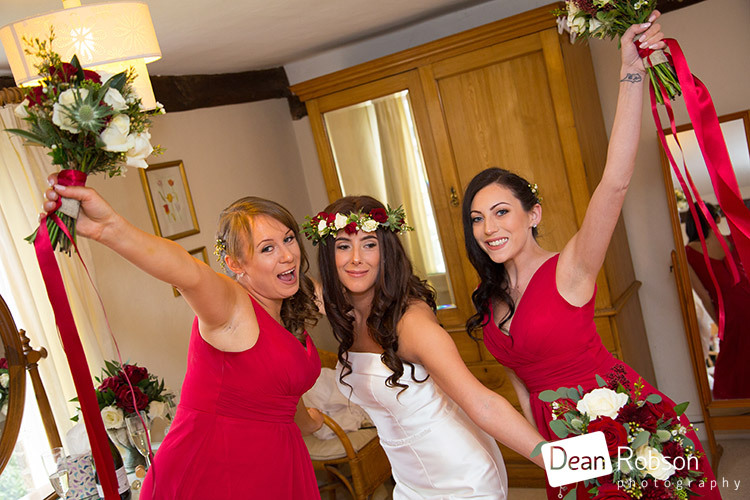 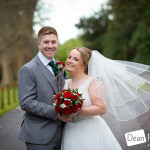 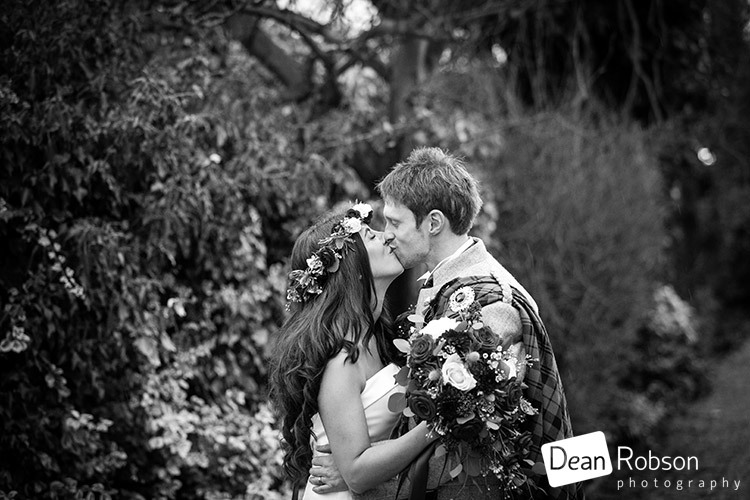 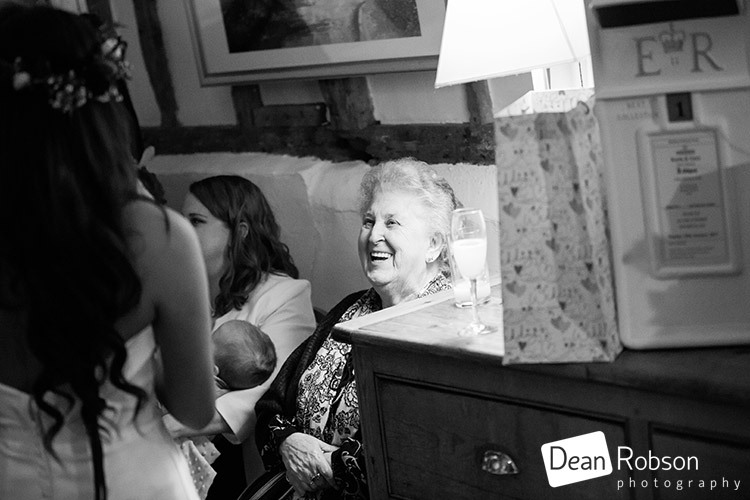 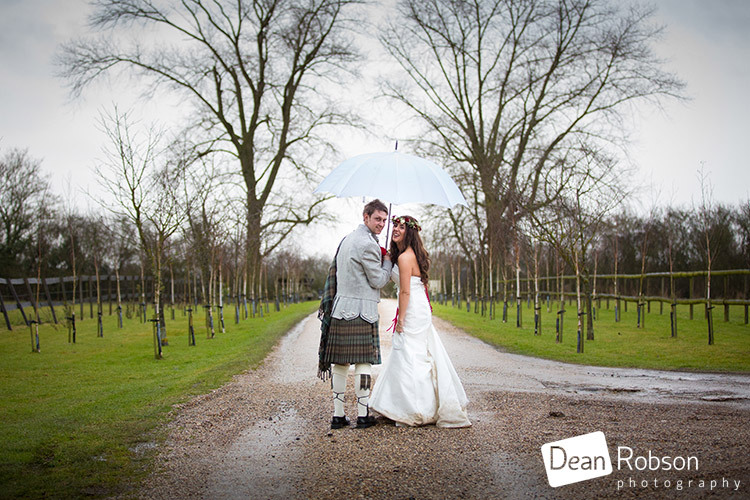 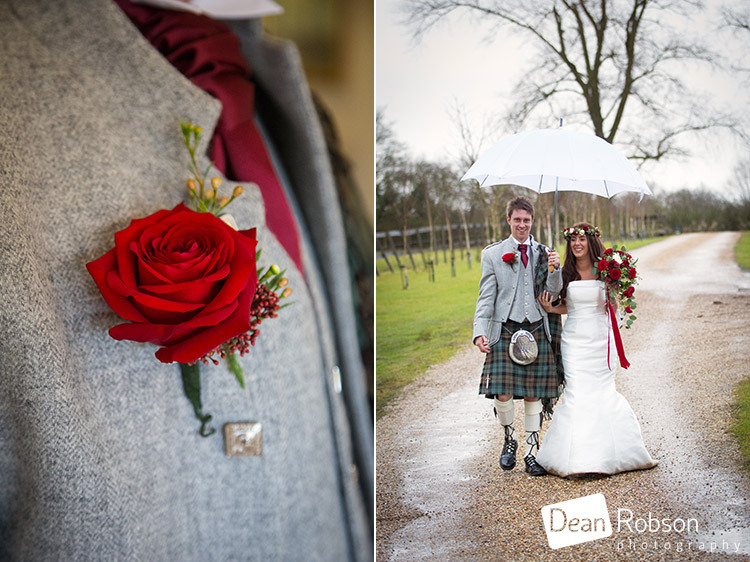 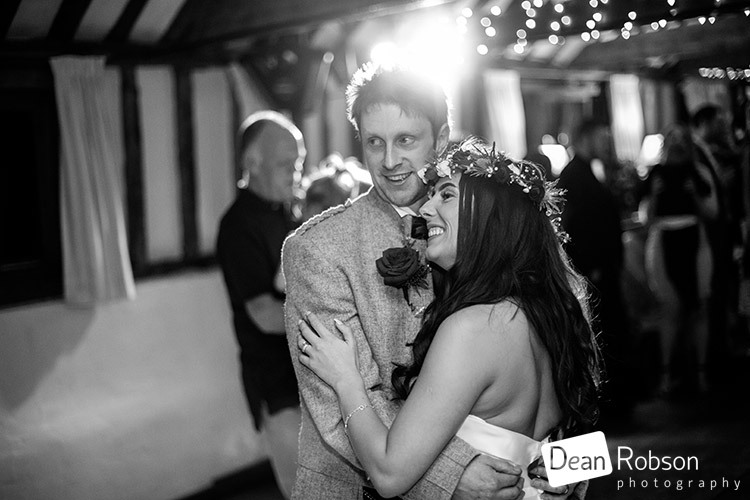 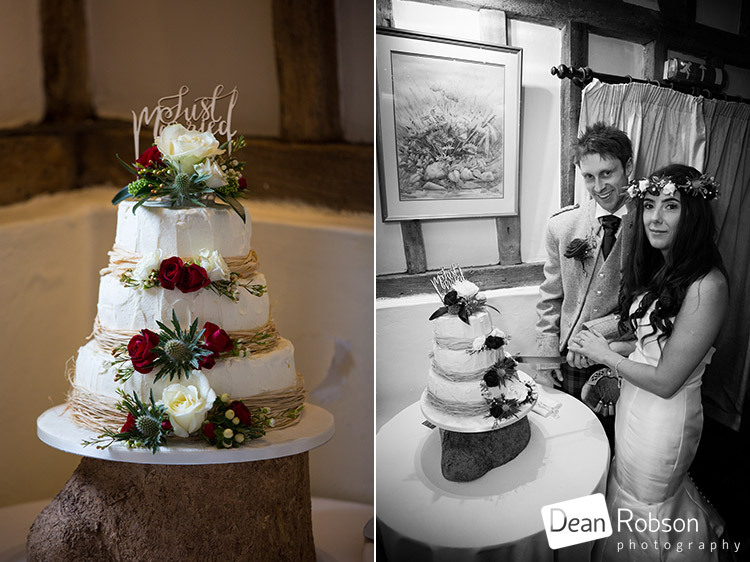 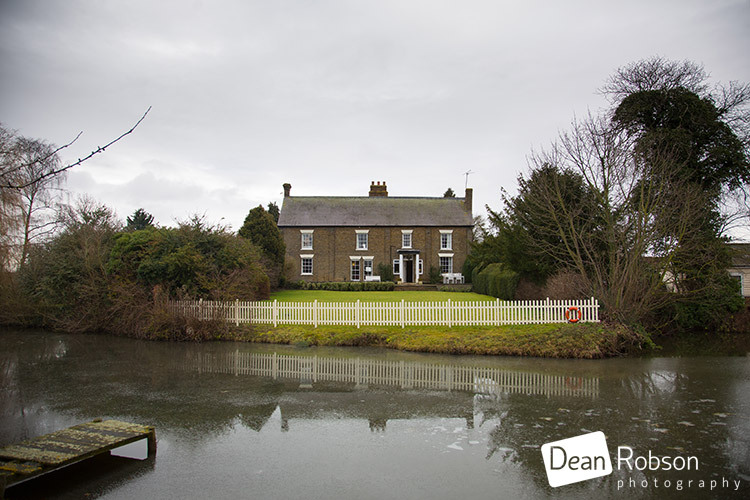 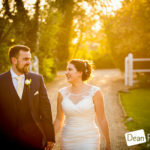 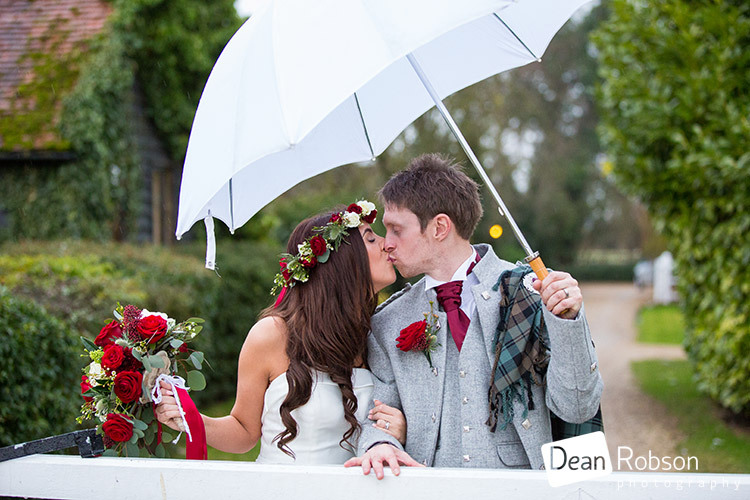 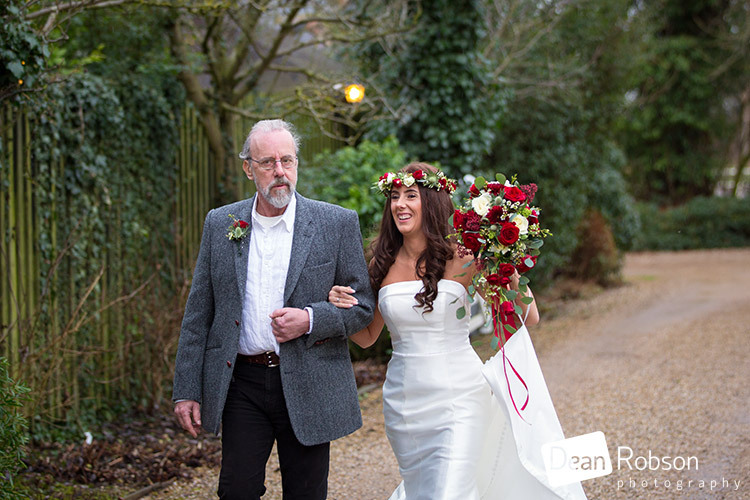 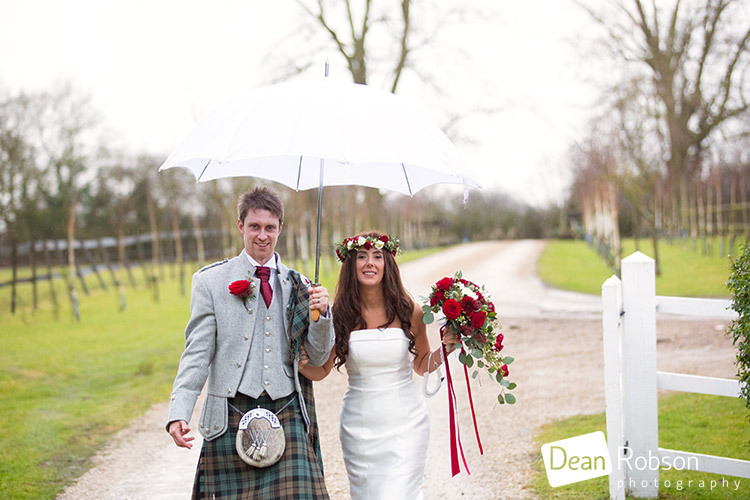 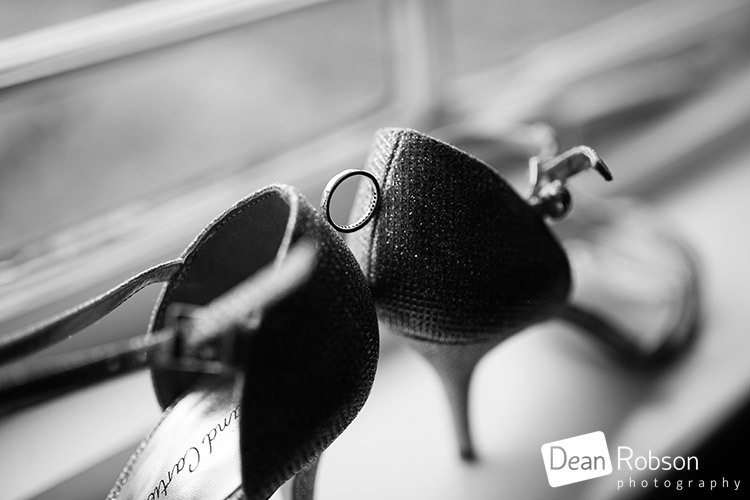 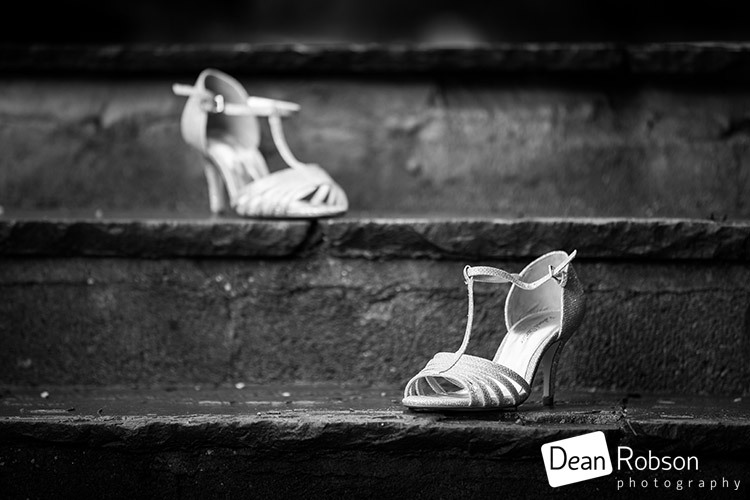 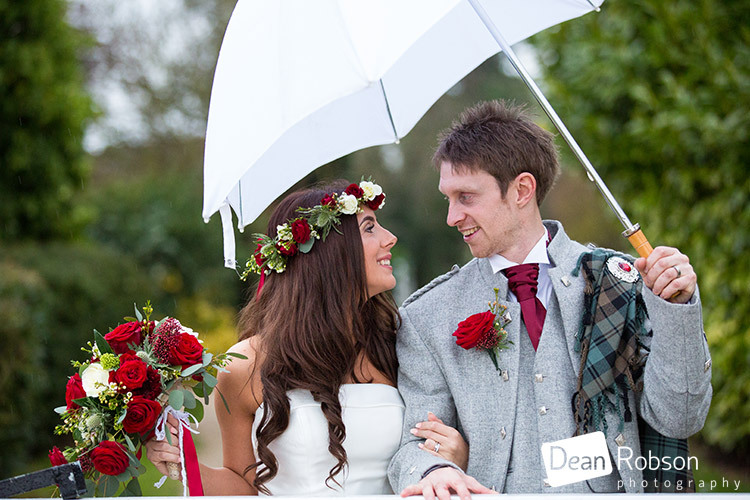 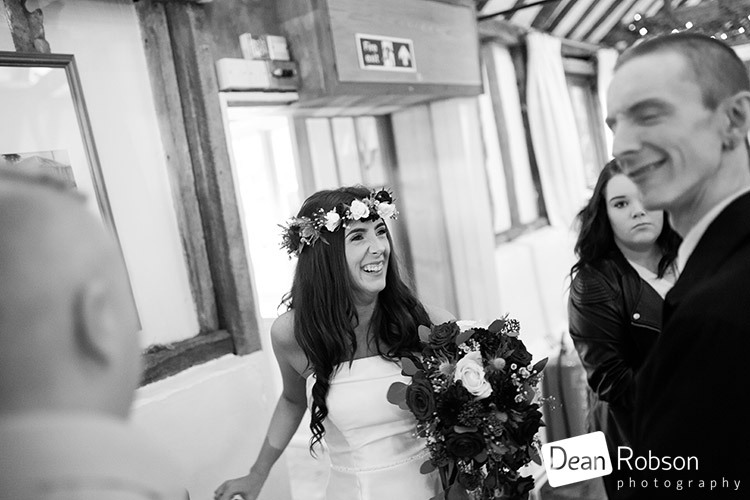 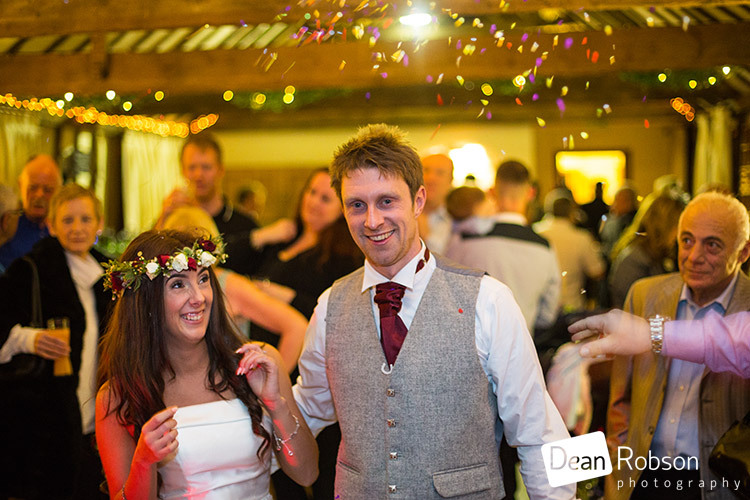 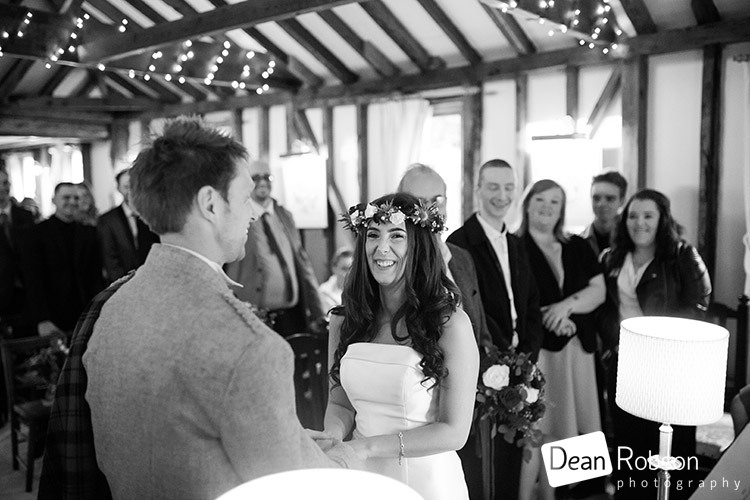 By Dean Robson LBIPP (Blog feature written February 2017) – Qualified and Professional Wedding Photographer based in Sawbridgeworth – Reid Rooms Wedding Photography January by Dean Robson Photography Natural Wedding Photography for Hertfordshire and Essex.